"Knights on the edge are not as effective as in the center. You can easily demonstrate this for yourself by placing a knight on one of the corners and counting the squares it attacks. Then put the knight on a central square and count the squares." "Overly aggressive tactics, such as wild Pawn advances, will recoil on you if you do not take basic precautions such as protecting your King. Though quick or brilliant attack is fun in the short run, in the long run its better to be a solid defender than a compulsive attacker." 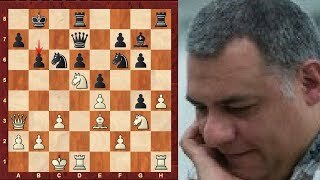 "A Bishop sacrifice against h2/h7 or h3/h6 can be lethal for breaking up the opponents King-side provided the attacker has an effective follow-up. When you castle King-side, therefore, and your opponent trains his Bishop on your Rook Pawn, be on the lookout for a sudden sacrificial stroke." "Do not try to conduct an attack against the opponents King with only half your army developed. Unless you catch your opponent napping, he can easily beat back such an attack with his superior development, and you will just be rebuffed." "When you castle King-side, watch your back rank! It is all too easy for the opponent to conclude decisive tactics based on back rank mate threats. You must develop all your pieces off the back rank as quickly as possible so as to connect your Rooks and protect your King against unpleasant surprises. (When you can do so safely, advance a Pawn in front of the King to give him _Luft_.)" "Hanging Pawns (usually a pair of Pawns on the c- and d-files with no Pawns on the b- and e-files) require close attention. If maintained properly they can stifle the opposition by attacking the four squares in front of them. And if they become passed they are a real terror. But they are tricky to defend because they cannot be supported by Pawns and must be supported by pieces (similar to an isolated or backward Pawn). So they are a potential weakness as well as a strength."